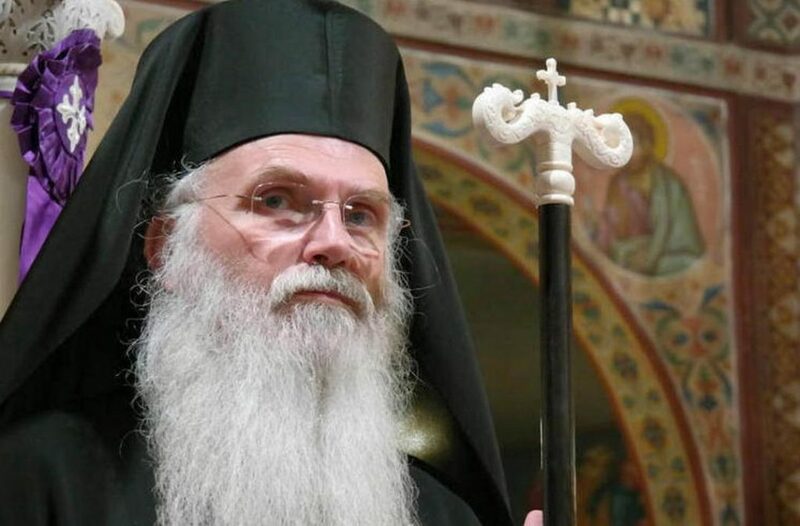 METROPOLITAN NIKOLAOS OF MESOGAIA: DIVIDED AUTOCEPHALOUS OR UNITED BROTHERS? You are at:Home»Governance & Unity News»Governance & Unity Essays»METROPOLITAN NIKOLAOS OF MESOGAIA: DIVIDED AUTOCEPHALOUS OR UNITED BROTHERS? In the last months, we are witnessing a very dangerous and seemingly unjustifiable crisis which erupted within our Church. The reason of this crisis is the imminent granting of autocephaly to the Church of Ukraine or rather the creation of an autocephalous Church in Ukraine. 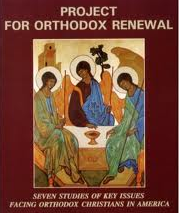 It seems that inter-Orthodox relations are a major issue in our days, and although union with the other Christian dogmas is the goal, the Orthodox, although they ascertain love between them, they de-construct this love in their life; they proclaim the union of the blessed sacrament between them but they practice the opposite. The faithful watch their leaders wrangling with each other using legalistic argumentation, and instead of uniting the faithful, they form opposing fighting camps. What a pity! In all this dispute, there is a pretense and a cause. Pretense is the need for autocephaly of the Church of Ukraine. And the cause is the right to grant it. Who does this right belong to, who has it? The words we are hearing used by the implicated churches refer to historic privileges, rights and rules. Unfortunately, what we are not hearing is the Gospel. The first question is: Is autocephaly so indispensable spiritually? If so, could it not wait a while longer? There is a second question: Are our rights so important that we have to protect them, ignoring or fighting our brothers and interrupting our thousand-year-long communion with them? And the third: Is invoking historical rights and rules more important than the word of the Holy Gospel? Constantinople now calls the up to now brothers of Russia “friends”, and they (the Russians) reject the Ecumenical character of the Patriarchate of Constantinople. In this way, the most basic foundations of Church unity are being demolished: brotherhood, expressed by pan-Orthodox communion, and Ecumenism, of which guarantor is Constantinople, according to the rules and the historical tradition. 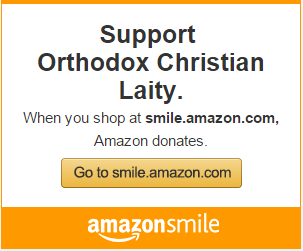 And those who demand Autocephaly, who are they? A secular President with a very dubious spiritual background and a schismatic self-proclaimed “Patriarch”, up-to-now rejected, with a problematic ecclesiological sensitivity. Are these two the proper persons in order to express in the name of the Holy Spirit, the need, God’s will and the sighs of the Church in the Ukraine? If we do not want to listen to the voice of those objecting to the autocephaly, how can we base our hopes for unity on those who have already caused a long-term schism and are already harboring in their midst all the demoted “old calendar” hierarchs from Greece and many others? If Filaretos had been elected Patriarch of Moscow in 1990, as he so much sought, but he failed, would he ask today to become the leader of the autocephalous Church of Ukraine? If the answer is yes, who would he ask? The Moscow Holy Synod, which he would be presiding over, or Constantinople, upon which today he shows a fake respect and pretends to bow in front of? In Christian logic, he who only sees his own rights is not just. Just is the person who protects his rights, but in so doing, he keeps the balance of love, peace, patience, forgiveness, reconciliation, as this is the only way to protect God’s “rights”. From another point of view, our salvation is based on the biggest injustice. Fortunately, our Lord did not invoke His rights! In this juncture, dealing with the problem of autocephaly in the Ukraine is done on the basis of the rights of those who can grant it, that is Phanar and Moscow, and it is done on the basis of historical or political-economic powers and not on the basis of the Word of the Gospel or even on the basis of the present ecclesiastical needs of Ukraine. In addition, one can discern on the horizon the outline of powerful political considerations, guidelines and pressures. The only piece left from the whole Holy Gospel is its cover! Actually, what connection can all these things have with the logic of the Crucifix, with the ethos of the Beatitudes and the Sermon on the Mount, with the linteum [towel]of the Last Supper, with the teachings of the Lord about ministry and the blessed position of the last one, with the Last Prayer of Christ “so all be one”, with the teachings and the spirit of Saint Paul, with the sermons we all listen to every Sunday and the encyclicals being sent before the big celebrations? Is it acceptable to abolish the Holy Gospel by the application of rules? How is it possible that two brotherly churches of Christ, which have been together for a thousand years, have come to the point of rejoicing in discovering each other’s deviations and mistakes? Maybe the tension we now experience means that we did not love each other in the right way in the past? How is it possible for our ecclesiastical leaders to support intra-Christian and inter-religious dialogue with a high-pitched voice, while at the same time refuse to communicate with each other? Why is the one side unable to admit that the Grace of God may shed a different light on the other side? Is it possible that all the light of Its Grace is upon us and not even one beam is falling upon our – up to now – brothers? What is the meaning of the word “communion” if it does not include “reciprocal understanding”? How is it possible not to measure the catastrophic results of a threatened Schism? Why would the faithful be excluded from the blessing of the holy sites of the other side? Why should the Russian faithful be deprived of the Holy Mt. Athos and Patmos and the Greek-speaking be deprived of St. Seraphim of Sarov and the Kiev Caves, Valaam and the blessing of the Russian Neomartyrs? Isn’t God’s Grace global so we can all share it? When the common faith and dogma unites us, how can the division on the basis of an administrative dispute be justified? Finally, the Gospel of love, forgiveness, unity: who is it written for and why? Is it related to us at all and our time? Furthermore, what would our preaching be in the Diaspora and the countries of the holy mission? What kind of Christ will we proclaim and pronounce? The Christ who “called everybody in unity”, but we defy his Word with our life? Or the Christ who could not unite his faithful in these two thousand years? The satisfaction from the achievement of autocephaly is short and belongs to the few. But the temptation of the faithful and the world is unfathomable and widespread. And the sin from the Schism is incurable and unforgivable. How is it possible for Moscow to rebuke their faithful who receive Holy Communion on Mt. Athos or on Patmos and maybe even later in Jerusalem and in Greece? Is it possible that the Holy Communion is part of political pressure and blackmail? Is this what we understand after a thousand years of the holy sacraments? We could understand the temporary stopping of commemorating at the level of the Patriarchs, maybe as a sign of intense protest, but not the permanent interruption of the communion between the faithful. It is not fathomable for the Church itself to alienate the faithful from the Holy Grace instead of being their leader to the blessing. Instead of weakening the faith of the people, it should be strengthened, so the people help their leaders come back to their senses. We expect that the holy fathers in Russia, whose blessing the people seek at the end of each holy Eucharist, understand that by acting humbly and not vindictively, they will unite the Church by the Grace of God; and, they will win the hearts of all the Orthodox. There is no reason for them to become the “Third Rome”, but they can spiritually be the “First and Holy Moscow”. They can be the first in our hearts. Along with the fragrance of the experience of their recent persecution and the grace of their neomartyrs, we expect them to offer to our Church the fragrant testimony of unity. The arrogance of the small and powerless is bad, but the humble wisdom of the great and powerful is good. We all need such a quality, because we are not interested in who is right and who is powerful, but who is acting by the Grace of the Holy Spirit. Saint Paul’s God-inspired teaching, “But if you bite and devour one another, take care that you are not consumed by one another” (Gal 5:15), maybe shows the path to all of us. In ecclesiastical conflicts between brothers, there are no winners. All are losers. On the opposite side, when we reconcile, there are no losers. They are all blessed. At a turning point when North and South Korea reconcile, could we, who daily pray with the “Lord’s Prayer” in our heart and our soul, find a way? Our warmest prayer is for the Lord to provide “the solution to the temptation” and to help soon exit to repentance and peace. The contrast between this “Epistle” by Nikolaos and the numerous inappropriate and hardly Christian statements by all involved in Ukraine’s autocephaly is very telling… Even if one has not read his impressive biography, one could easily imagine such an inspired leader creating a path for Pan-orthodoxy. Should I dare suggest that this might not be just an imaginary hypothesis but, under the right circumstances, such a hierarch could become our next Archbishop? All the qualifications that we would want from our new leader are displayed by Nikolaos in abundance: deep faith, spirituality, leadership skills, and above all wisdom. Should we also mention that Nikolaos has no personal material possessions whatsoever and that his salary goes directly into the Metropolis’s charities? It is time to think about the qualities that the next Archbishop of the GOA should possess. In addition to being a spiritual leader, he needs to have the listening and critical thinking skills needed to manage the various Metropolises and be able to work in synergy with clergy and laity. The special interest groups and special interest fundraising personnel that dominate the GOA need to be eliminated. He must clean house. The next Archbishop must focus on the needs of the spiritual flock in this geographic area, have experience shepherding the faithful in this geographic area, and be the leader that brings the various jurisdictions into one synod so that they can eventually work together to elect their own leader. He must work to bring canonical order to the Church in this land.